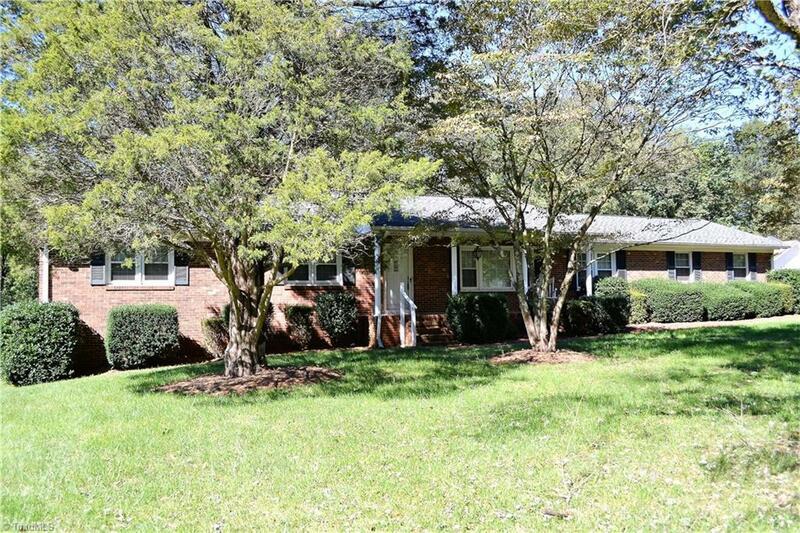 Brick rancher located in Kernersville! Updates include replacement windows &Roof approx. 2006, hvac 2013, Rinnai hot water heater 2011, Updated kitchen cabinets. Master br w/ wic, Formal LR & DR, Den w/ FP, & bsmt fp, a Full bath in bsmt makes it perfect for guest, Bsmt garage & attached garage w/handicap ramp, Plenty of storage in bsmt, Situated on over a half acre lot in a established neighborhood. Rocking chair front porch, Priced to sell. Agents "READ" AGENT ONLY!